Grown under low temperature - low oxygen conditions, just like nature! Aloha Medicinals is proud to announce expansion of our manufacturing facility in Carson City Nevada. We are now the world's largest Cordyceps cultivator, with a monthly production in excess of 175,000 kilograms. Aloha Medicinals is manufacturing more than one-half the total Cordyceps consumed in the world today! There is a reason for that: Aloha Medicinals is the Most Potent Cordyceps ever available, and the only commercially available cultivated True Cordyceps with a DNA profile exactly matching that of wild Cordyceps! Our quality makes the choice easy. Why not use the best? Aloha Medicinals Cordyceps is available from stock in any amount you require, either for your own use as a dietary supplement or in bulk as a raw material for use in your product! It was not until 1972 that the first successful Cordyceps cultivation was achieved. The first Cordyceps cultures were isolated by the Chinese Academy of Sciences in that year. These strains were not isolated from Tibet, where most of the top quality Cordyceps comes from, but rather they were isolated from specimens found in Qinghai province in Central China. Originally three different strains of Cordyceps were isolated. The first three strains, named CS-1, CS-2 and CS-3, did not have the fast growth characteristics that make commercial cultivation practical. It was the fourth culture that had been isolated by this institute, named CS-4, that was hardy and fast growing. So this CS-4 strain was chosen for commercial production. Different strains in mushrooms are like different breeds in dogs. Chihuahuas and Golden Retrievers and Great Danes are all dogs, but they are all quite different in terms of size and personality. They are not alike at all. Or consider apples, different strains like the Red Delicious, or the green Granny Smith apples, or the Yellow Delicious apples are all apples, but they taste quite different, and they have different sugar content and even different textures and uses. Or as a scientist would say, they all have a different Analytical Profile”. Not all Cordyceps are the same, just like not all apples or all dogs are the same. But back to Cultivated Cordyceps: This CS-4 culture proved itself a good candidate for commercial growth, so it was evaluated as a substitute for wild Cordyceps. It was tested for its medical potential, and by 1988 it had been approved in China as a medicine under the name Jin Shui Bao. As part of the approval process to bring this to market, many clinical and safety trials were conducted showing its efficacy and safety. That is the reason there are so many scientific articles available on this particular strain called CS-4. After more than 20 years of clinical observation, some of the results have been quite astounding. 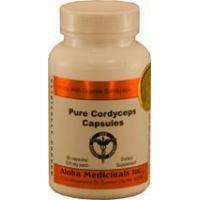 There are some conditions for which Cordyceps has proven to be the best possible choice. But that happened a long time ago in terms of science. Think of the advances that have been made in all the sciences over the last 38 years. That is how long ago CS-4 was isolated. CS-4 is a good dietary supplement, but just because CS-4 was the first Cordyceps cultivated and studied certainly does not mean it is still the best choice today. Every aspect of science and technology has advanced over that period of time. (Think about computers 40 years ago…) Virtually no other medicine of that earlier time is still considered to be a first line defense against today’s health threats, yet many people today are taken in by the marketers that still use that early information on CS-4, telling their customers that CS-4 is the best Cordyceps for their use. entertainment room ,basketball courts and other facilities complete. 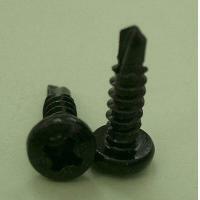 of screws accessories production industry suppliers. plates in hand, cell phone nut, style nut, furniture accessories, etc.